Another fact that leads to such conclusions is the words of the Saudi Arabia’s powerful Crown Prince Mohammed bin Salman, who said last year that the kingdom wouldn’t waver to develop nuclear weapons if Iran does. The above suggestions based on satellite images, however, have not been commented by officials in Riyadh and the Saudi Embassy in Washington as of the moment. The kingdom is a security partner of the United States from a long time. But, if such a program is really on, the relations with the USA, which are already being tested by the killing of Washington Post columnist Jamal Khashoggi and the Saudi-led war in Yemen, could be further tensed. 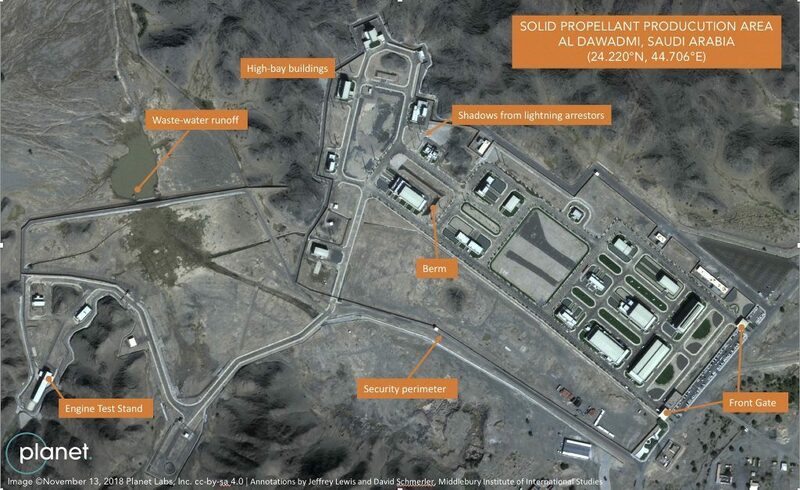 The images that were initially reported by The Washington Post show a military base near the town of al-Dawadmi, at about 230 km west of the Saudi capital Riyadh. In 2013, the base was first identified by JDW (Jane’s Defence Weekly) when it was suggested that two launch pads appear oriented to target Israel and Iran with ballistic missiles, which were previously bought by the kingdom from China. The satellite images from November 2018 display structures that appear to be big enough so that to build and fuel ballistic missiles. It is also suggested that a rocket-engine test stand is seen in a corner of the base — the type on which a rocket is positioned on its side and test-fired in place. According to the experts such testing is key for countries attempting to manufacture working missiles. It is unclear, however, where Saudi Arabia has gained the technical know-how for building such a facility. 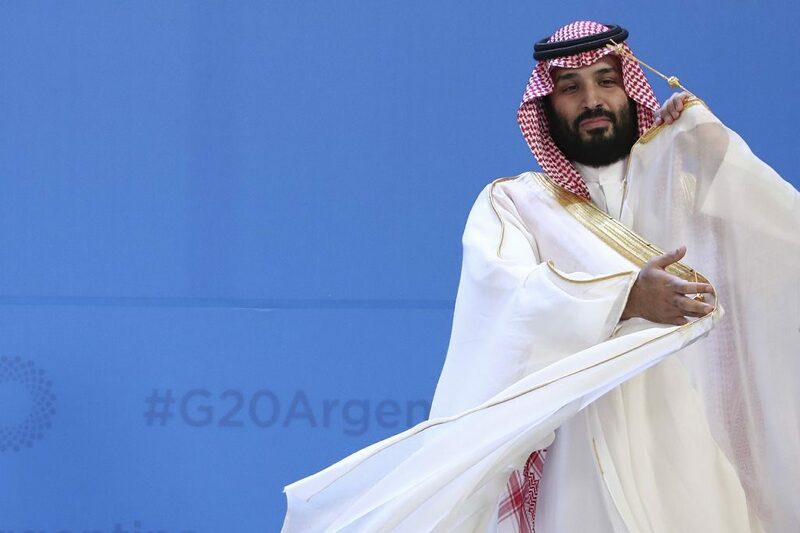 According to Jeffrey Lewis, a missile expert at the Middlebury Institute of International Studies in Monterey, California, the Saudi stand resembles a design used by China, though it appears to be smaller. The Defence Ministry of China declined to comment that when asked by The Associated Press on Friday (25th January 2019). “I have never heard of such a thing as China helping Saudi Arabia to build a missile base,” commented Hua Chunying, the Chinese Foreign Ministry spokeswoman. According to Stratfor, the world’s leading geopolitical intelligence platform, based in Austin, Texas, a Saudi program would lead to complications related to the efforts made by the USA and its Western allies to limit Iran’s ballistic missile program, which have been criticized for a long time by Saudi Arabia, together with Israel and the United States, as a regional threat. 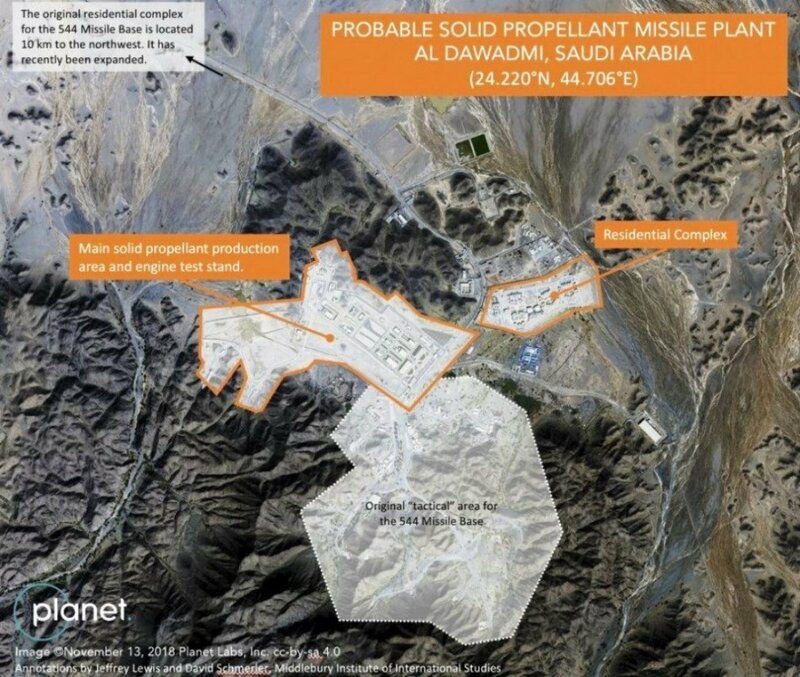 Stratfor also commented that “should Saudi Arabia move into a test-launch phase, the United States will be pressured to take action with sanctions,” as is the case with Iran.